So what happened after they retired from competition? 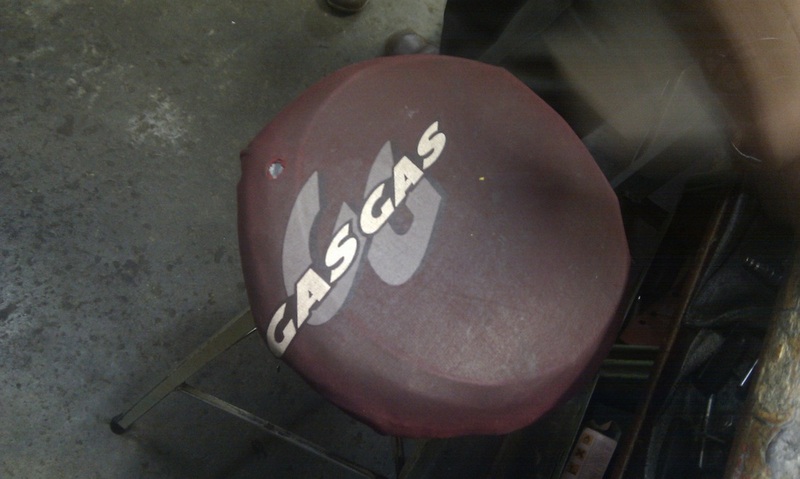 So, please tell me about the GasGas shop? This was opened in 1973 in Salt. 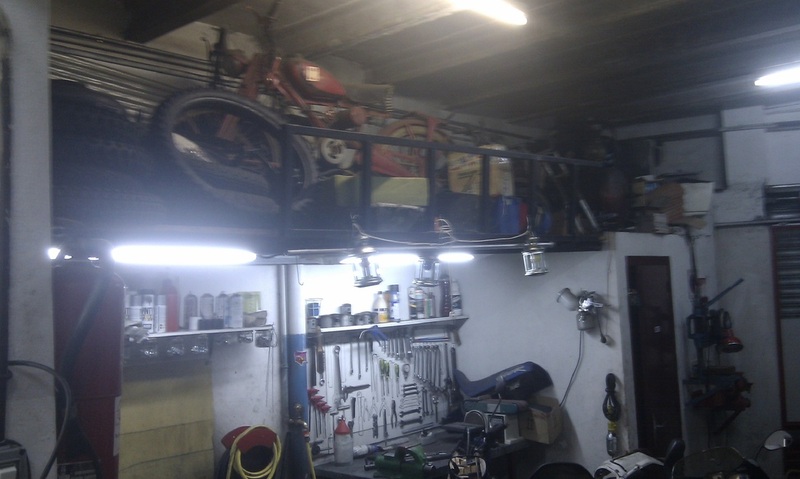 I open my shop with Narcis and the name is GasGas and in this shop we sell Bultaco, in one year we sell 800 Bultaco’s, running until in 1976/78 Bultaco have some problems and after I go to drive in Italy for SWM. At this moment I was the importer Ariete, Polini, and things from Italy, with GasGas, I make one other enterprise, the name is Remoto, Remoto for the parts. And after Remoto, I make Hebo, and after Hebo I make Megamo for the bicycles. Using an old fashion blood hound i had packed in my baggage , I tracked down the original untouched and Marie Celeste like GasGas shop in 2012. 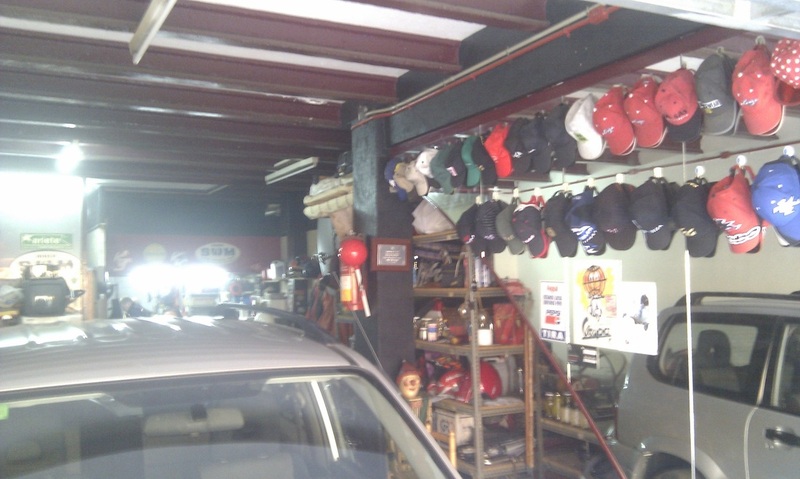 The shop is situated on a small residential road in Salt. 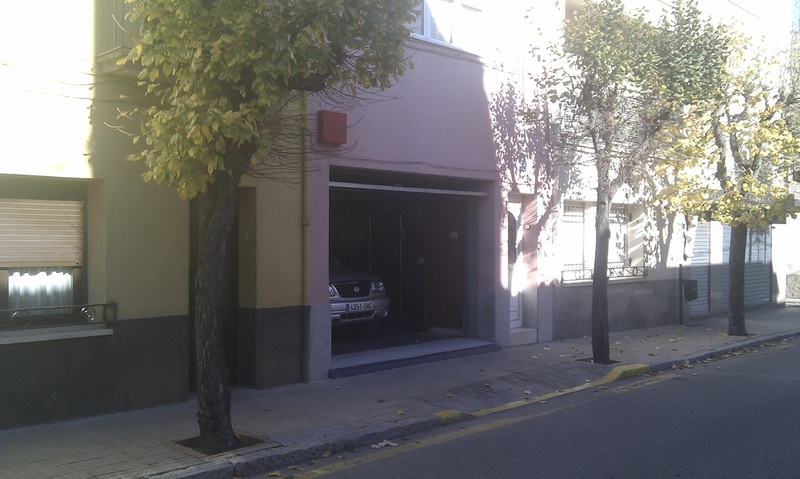 The photo below shows the rear of the premises and the back door. When I was brought to this shop I had no idea what I would find. I had no idea that it would be so untouched and that Dani Font still lived here above the shop. 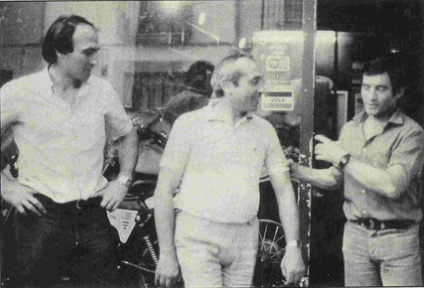 Here is Dani standing outside the shop that he has owned since the 1960's. This place is like a GasGas time capsule. I can't tell you how thrilled I was to find it and to find Dani so accommodating. Forget the Halley. This is t﻿he first GasGas ! ;). So, here on the right is the unmistakable Dani Font. On the left is former GasGas parts manager Gustavo Putz. 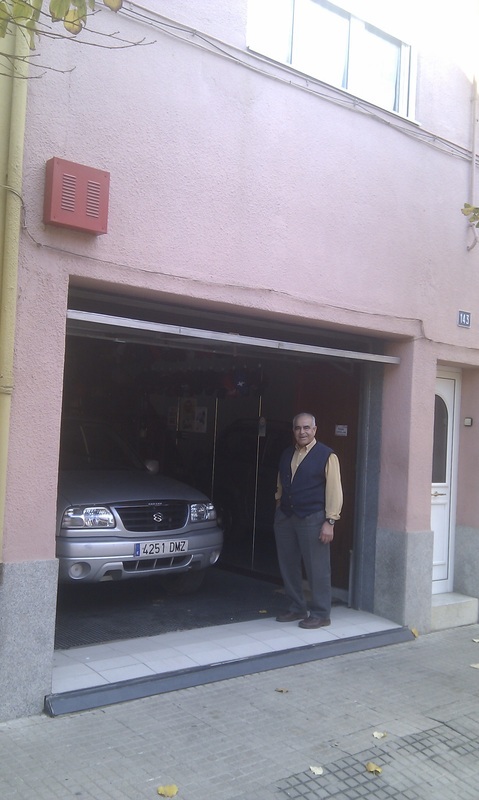 Gustavo worked at the Fornells GasGas factory and now runs GP recambios and is the Spanish S3 distributor. It was such a huge pleasure to meet Dani. He was such a happy warm man. I remember that he had huge huge hands with fingers like sausages. GasGas meant the World to Dani. He loves motorcycles so much. 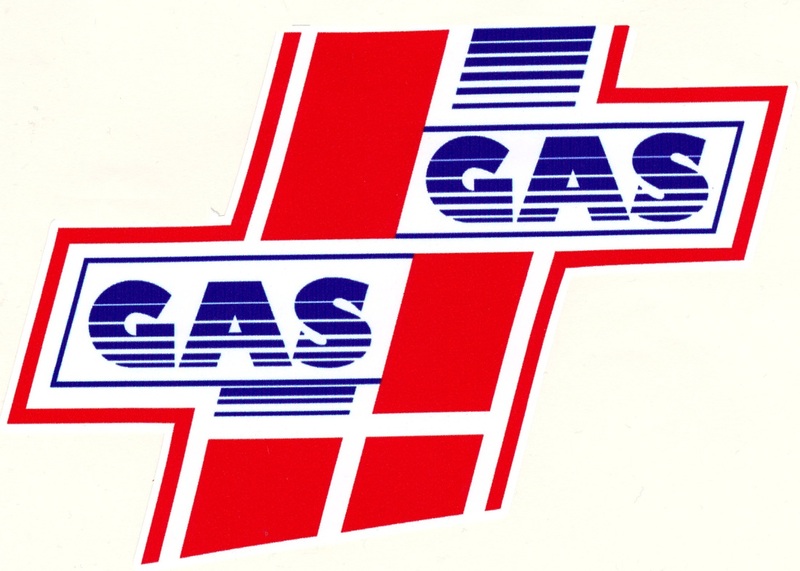 For him to have played a notable part in the creation of the new brand GasGas as well as helping such prominent Spanish motorcyclists Narcis and Piber was perhaps a real highlight for him. Certainly when I arrived, this strange Englishman who was so so so interested in the Gasgas story Dani's face lit up. He had a grin from ear to ear and he loved every minute of talking to us about the old days. He was quite bewildered and overcome by my keen interest. Dani's warm character and huge huge smile left a mark on me. He was a big powerful man and finally I had discovered him and gave him at least a small part of the recognition he deserved for the part he played in the creation of GasGas. I can tell you one thing, GasGas just wouldn't exist without him. If you have paid any attention to this report so far you will know that Dani taught Piber and Narcis how to ride off road. 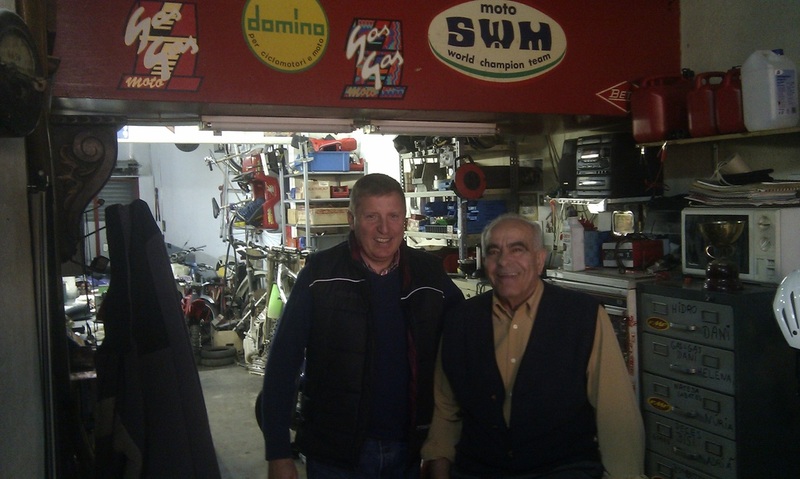 He not only introduced them to motorcycles but later he became their mechanic when they were Bultaco and SWM riders. He then stayed on with them and became their number one shop mechanic. Dani collected GasGas baseball caps and hung them all of the right hand wall. On the left hand wall of the shop used to exist a hanging paper mache dirt bike track with model motorcycles attached as if they were riding around. 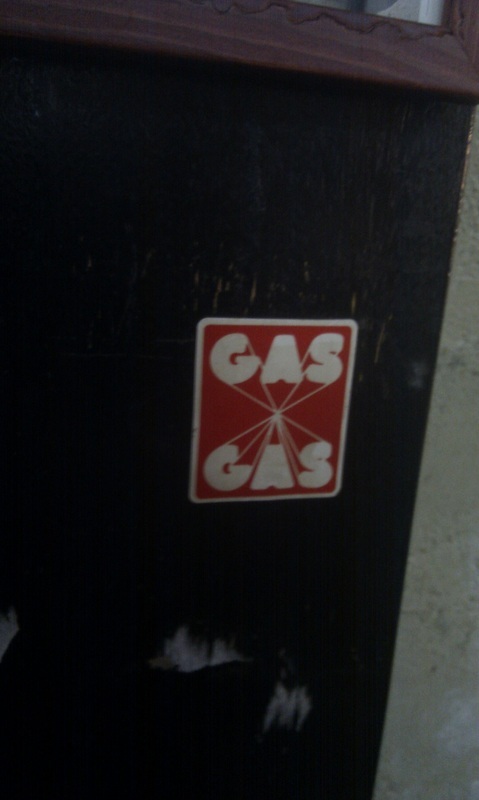 Why did you make the GasGas shop? Did Dani Font own the building? What was the shop, before it was GasGas? 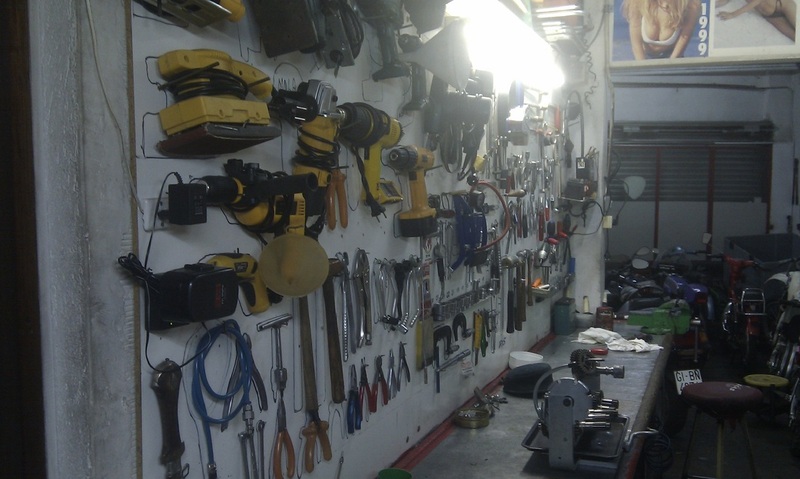 Dani had there a shop for repair of the motos. He was a good mechanic. 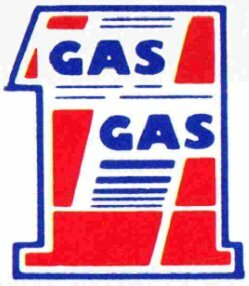 Who worked with you there at the GasGas shop? Dani make the mechanic. My sister she do the papers. Narcis and me we work with everything. What was this sisters name? There is a company in Girona called Joan Pibernat? Is that something to do with your family? No, there are 2 or 3 people with the name Pibernat here. 1 is my cousin and I have 2 children, but in Girona there is 2 or 3 Pibernat, no more. 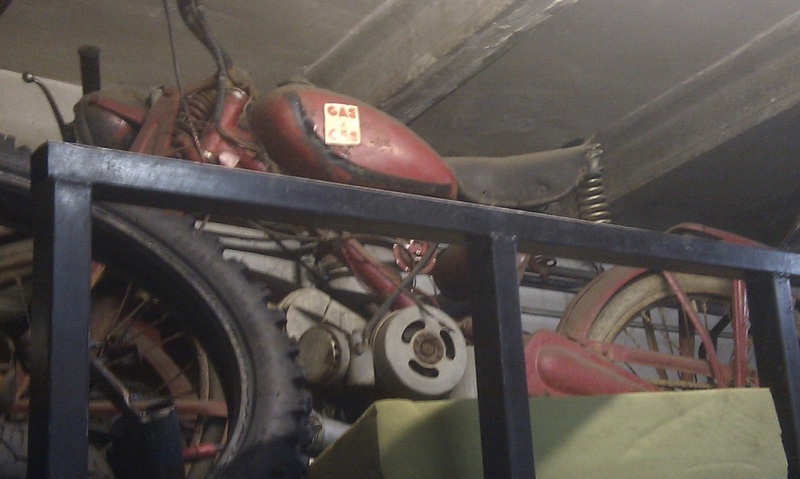 Were there many motorcycle shops in Girona at the time? Yes, yes many motorcycles and big dealers from Montesa, big dealers from Ossa and big dealers from Bultaco. I was much younger at this time. I am younger and in this place with new and in one year we sell 800 Bultaco bikes. After this we import SWM. Dani told me that the shop hadnt changed at all since the GasGas days. 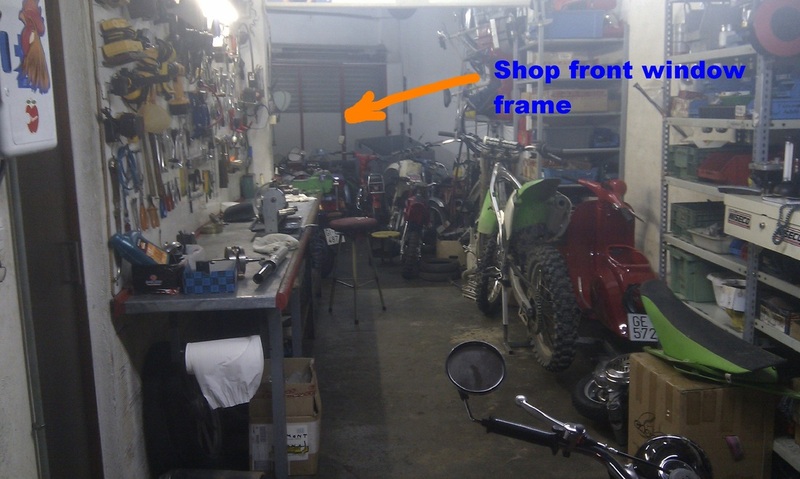 In fact some of the very same shop bikes were still there.